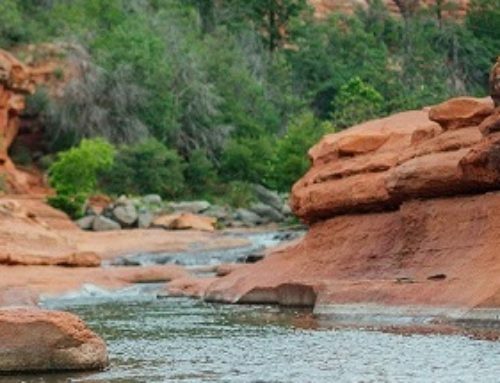 Sedona is one of America’s most romantic winter destinations, as named by Travel + Leisure! 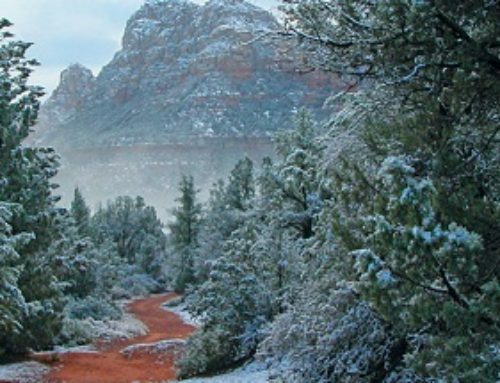 A trip to Sedona in winter is wonderful – the red rocks glisten in the sunlight with their dusting of snow, and the weather is perfect – hovering around the mid 50s for highs. With little or no snow on the ground in town, driving and other outdoor activities are easy to do. Take a romantic hike on one of the 200 trails in the area, take a jeep tour or a winery tour. Drive through Oak Creek Canyon – the vistas are spectacular! Pack a picnic lunch for two and make it even more romantic. Try a champagne sunrise hot air balloon ride, or decadent spa treatments. 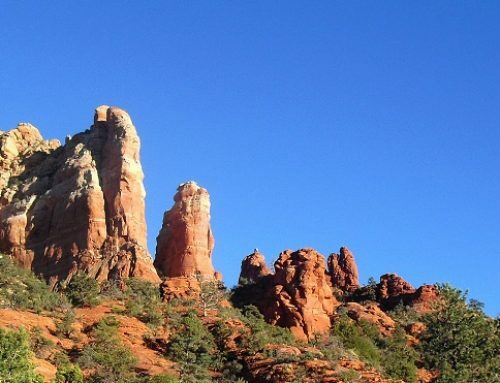 Sedona is such a magical and memorable place with many things to do and see. Meander the “streets” of Tlaquepaque Arts and Crafts Village with its galleries, artisans, shops and fine dining. In the evening have a romantic dinner for two at RENÉ at Tlaquepaque, serving fine, delicious food for over 35 years! But to make it a perfect romantic getaway, stay at El Portal Sedona Hotel. With only twelve suites, guests have the utmost in privacy. At El Portal we offer a unique lodging experience, it isn’t a typical bed and breakfast, nor is it a big resort. It’s a luxury boutique hotel where guests can experience the serenity of the southwest. Each suite is distinctively decorated and includes a private entrance, romantic fireplace, whirlpool bath and WiFi; featherweight cashmere blankets, luxury Egyptian cotton sheets,premium down pillows and comforters for the ultimate in restful comfort. It has a romantic, private courtyard, and some of the rooms have private patios or balconies. The hacienda-style inn exudes privacy and romance! 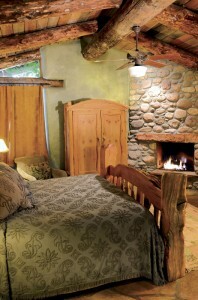 El Portal in Sedona, Arizona for a romantic winter getaway!